This is a 3 day per week strength program designed for the ladies that want to lift weights, get strong and become unstoppable! Looking to add a little more plump to your rump?! Check out this booty blasting workout that will help tone and shape your glutes and thighs! This intense total body circuit is designed to boost your heart rate and get you shredded for Summer!! This is a bootcamp style workout that can be done anywhere using your own bodyweight as the resistance. 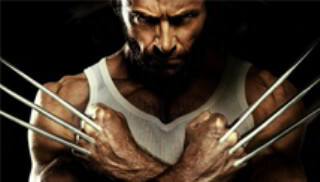 This is a sample workout routine that Hugh Jackman did to prepare for the role of Wolverine in the X-Men series. This workout routine is designed for the aging population who are looking to get fit and stay active. 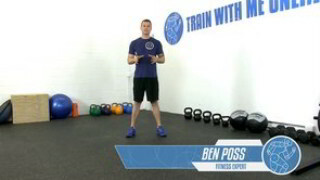 This workout contains a variety of low impact exercises put together in circuit format. This workout consists of 2 short intervals that are designed to increase strength and boost your metabolism so you will become a lean, mean fat burning machine! This is a beginner level upper body dumbbell strength workout that targets the back, shoulders, chest and arms. This workout is dedicated to one of my favorite clients Christina Makris Pagagorgio who is Greek! This is one of the fantastic workouts we do together in preparation for the upcoming beach season. Primal conditioning is a bare bones, beat you down workout! This is a 10 round bodyweight strength and conditioning circuit. Hit it hard, take no prisoners and get through all 10 rounds as fast as you can! Summer is almost over so get outside and take advantage of the warm weather while you! This is a challenging full body toning workout that can be done at home, outdoors or at the gym!